I went to a special tasting of singular wines by Bodegas Tradicion last night at Taberna Palo Cortado and after the official program there were some even more exceptional extras. 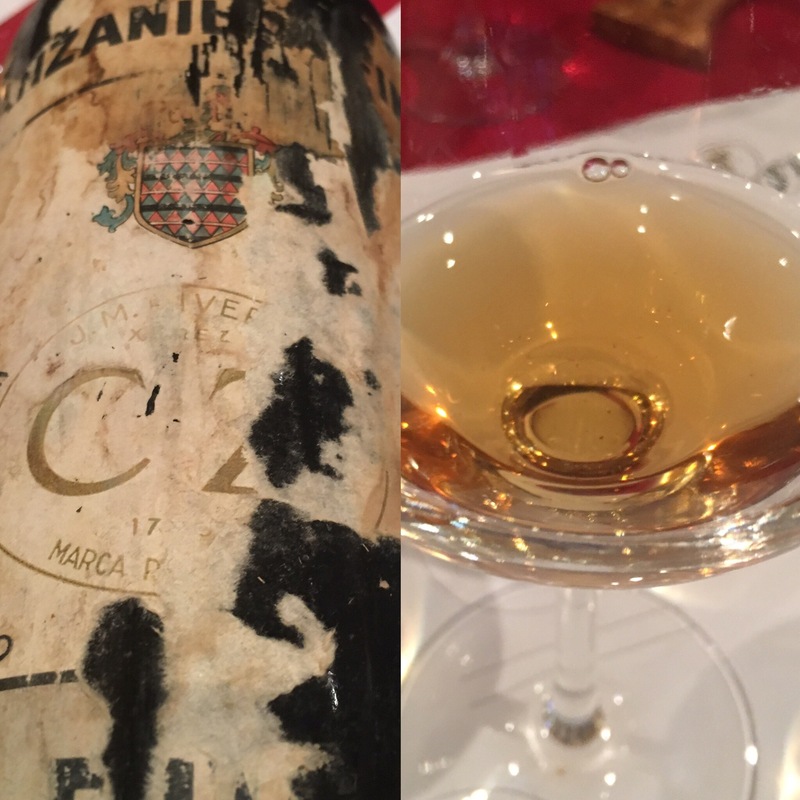 The first was this Manzanilla CZ – the original brand of the Rivero family, current owners of Tradicion – which had no date but based on label and bottle must have been from the 1950s or maybe even earlier (or so the experts concluded last night anyway). It was brought by the massive legend and outstanding cameraman Abel Valdenebro. Just look at that colour – evolved from a manzanilla, but not as evolved as some en ramas that are currently on sale (naming no names), and so bright and clear. It looks incredibly clean and appetising, and you get the same impression from the nose – slightly sweet of esparto grass, but by no means honeyed or nutty. It has wandered from the path of the manzanilla but I would place it as a manzanilla pasada, although it didn’t have quite the same saline punch as either. Finally on the palate again clean and fresh, a compact profile with no dustiness. Not a big profile or an exuberant wine and not much structure left but a nice waxiness and an even better range of flavours across the palate, from a slightly sweet of esparto grass start through a warming salinity to only a slightly bitter finish. This is what is known as growing old gracefully – a beautiful old wine. Many thanks Abel!